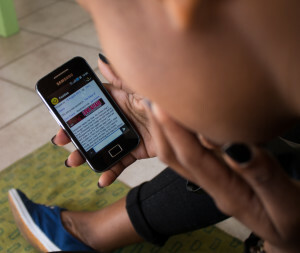 The FunDza Literacy Trust aims to get young South Africans reading for pleasure, by disseminating high-interest, locally generated reading content that can be accessed via cellphones. The fantastic thing about using a technology platform as its delivery mechanism is that it generates large amounts of data. FunDza can measure – within reason – who is accessing what, when and through what type of device. But, a major drawback is that it is only able to measure what it sees via this platform. In this learning brief, FunDza describes the complexities of designing an evaluation strategy for their Growing Communities of Readers Programme; one that will allow it to answer its two most pressing evaluation questions – whether the programme is indeed reaching a significant number of its intended participants and whether it is inspiring those reached to read more.